RM Palmer is a candy company making candy fun. If you visit them RM Palmer you will find at the top of the page a count-down timer till Easter. Only 7 more days folks. Are your Easter baskets all filled with goodies. Enter their contest HERE . For a Chance to win a Sweet Trip! 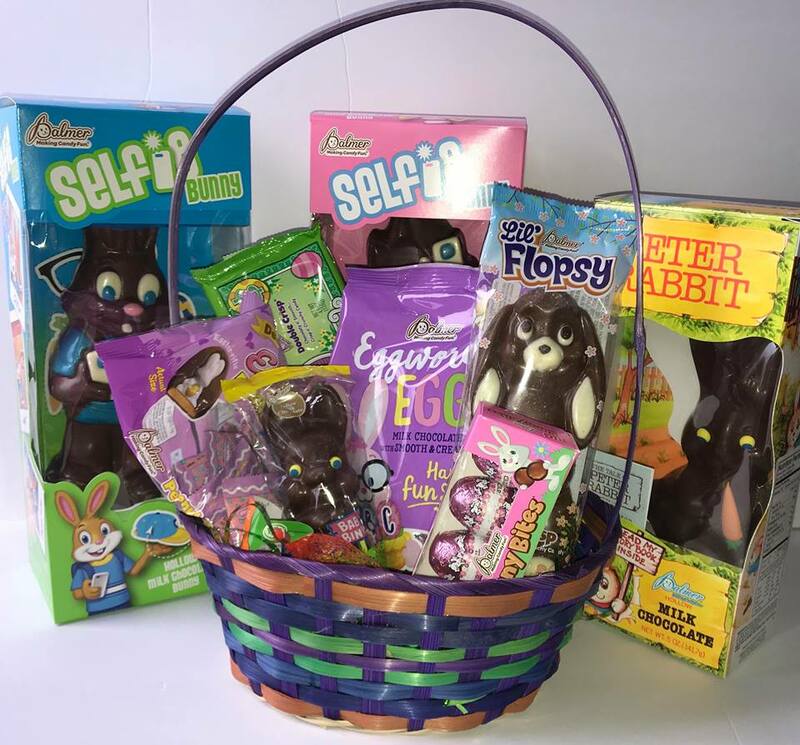 Just snap a selfie of yourself with RM Palmer's new Selfie Bunny for a chance to win a trip for two to Chicago and visit the 2018 NCA Sweets & Snacks Expo as a guest of R.M. Palmer Company. R.M. Palmer Selfie Bunnies are camera ready, excited to share a smile with all their Palmer fans. This Sweepstakes will end April 2, 2018. Children around the world are getting ready for Peter Cottontail to come hopping down the bunny trail. Fill your child's Easter baskets with some of the delicious candy from RM Palmer. Leave your children some Bunny Munny in their Easter Baskets. These are a 4.5 ounce smooth and chocolaty, crisp and crunchy surprise! The wrapping on this candy is adorable. Lil Flopsy is new to the collection of Easter candy this year. Lil Flopsy is the proud younger sibling to Flopsy. This is a 5 oz. double crisp bunny. These Big Bunny Bites are so delicious, the Easter Bunny didn't want to part with them. These are four 1 ounce chocolaty eggs that are available in these three flavors: Peanut Butter, Smooth & Creamy and Caramel. Every Easter basket definitely needs one of these. A bunny on a stick. These decorated bunny Big Pops are double crisp and crunchy. Is Easter even complete without Easter Bunny Peanut Butter Cups. Creamy peanut butter covered in delicious milk chocolate. Another new addition is the Selfie Bunnies. Everyone knows how important it is to catch that perfect selfie. These are 10 oz girl and boy hollow milk chocolate bunnies. You can cut out props on the pack to help capture that perfect selfie. This will support a national consumer sweepstakes (#selfiebunny). Include Peter Cottontail in Easter baskets this year. This naughty little rabbit has been recreated in Palmer's creamy hollow milk chocolate. Inside the beautifully illustrated box you can read this rabbit's classic garden tale. Last but not least, have some awesome fun spelling names or Easter Messages with these smooth and creamy eggs foiled with letters. This gigantic bag 2 pound bag is available in a 32 ounce gusset bag containing 94 letters. All the candy from R.M Palmer is beautifully wrapped for the Easter Holiday. 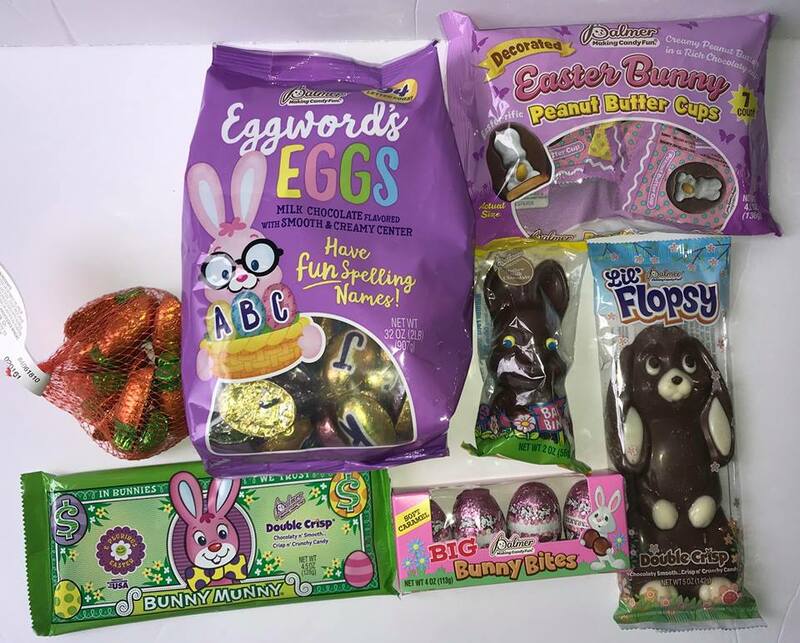 Check out their affordable and delicious candies to fill all your baskets this year! We decided not to do too much candy for Easter. But each child did get a chocolate bunny in their baskets. The selfie bunnies are too funny. Of course my personal choice would be the peanut butter cups. Yum. I was just looking at Palmer candies in my local grocery store, but I didn't see the bunnies taking selfies. So cute! I would have bought two of them for my daughters. My daughter is type 1 diabetic so her and her sister don't get candy in their Easter baskets. Instead we add fruit, stickers, money and toys. Palmers definitely has always had an amazing selection. I love the new stuff they have come out with! I love their Easter chocolate. 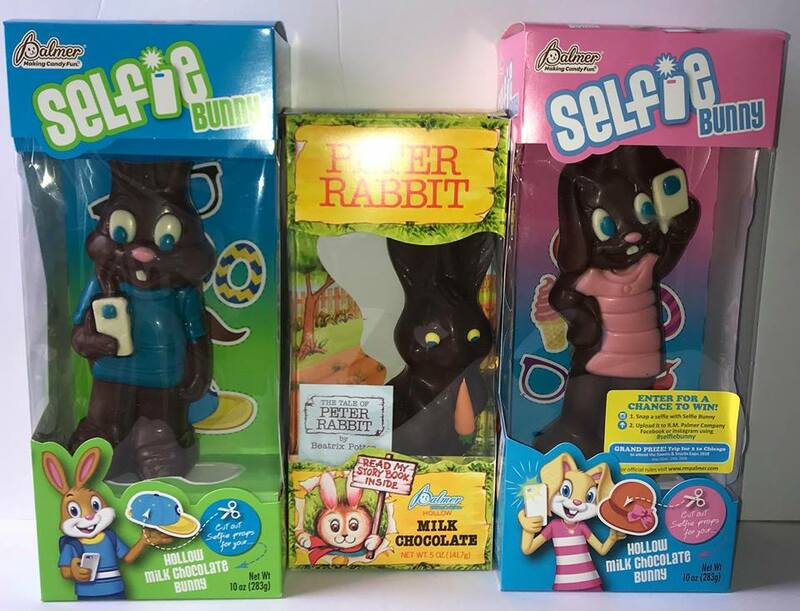 I may need to buy myself one of the Selfie bunnies, just in case the Easter Bunny only remembers the kids.